South Korean Film Scores and Ease of Distribution – Part 2 (Im Kwon-Taek and Seopyeonje). Im Kwon-Taek – Reluctant Traditionalist or Radical Experimenter? It is somewhat difficult to gage the cultural impact of a director’s films on a country outside of your own. Within our current system of distribution this is doubly so for directors whose films lie outside the cultural barriers set up within the film industry. Choosing Im Kwon-Taek, his film Seopyeonje and its relationship with music was already set to be a tricky task within this framework but it also ironically helped to define many of the issues that this essay will discuss. 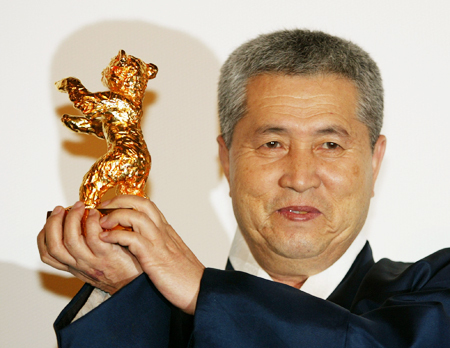 Im Kwon-Taek is one of South Korea’s most recognisable and prolific directors yet that might not seem so apparent to a Western viewer. Starting early on making dozens of genre films in the 1960s, he became more and more politically conscious until his films were released from the censorship they had been straining under, allowing the director to broach more politically sensitive topics and gain further, more international acclaim. “This slow release of a directorial personality makes Im Kwontaek the last example anywhere in the world of a director who came up through the ranks of a repressive studio system, gradually found his ‘voice’ while churning out genre quickies and then managed the transition to the status of a conscious auteur with some aplomb.” argues Rayns but later he goes on to single Im out stating that “But Im’s case is different, precisely because he is Korean.” (Rayns, 2012, p.42). This makes him the perfect example, along with his occasional composer Soo-Chul Kim, to look at when discussing the distribution and consumption of an Asian art. He is affected by an overtly large number of sociological, cultural and political factors, often outside of his control and the gradual easing off of all these will allow parallels to be drawn and a very obvious correlation to be found with the ease of worldwide consumption and traditional interests. Our main case study, Seopyeonje, is one of his first films to take advantage of this cultural easing. It does however, also highlight within its narrative and its soundtrack, how the more traditional aesthetics of third cinema can still provide barriers for the died-in-wool Western audiences; unable to even comprehend an entertainment discussing issues that have no bearing on their own personal lives. It is now vital then to contextualise our case study and an in depth analysis of its narrative, thematic and musical choices will highlight why it can be considered a traditional piece of South Korean cinema, why its music speaks of both tradition and politics and how all of this will affect its distribution and consumption, both nationally and globally. Seopyeonje (1993) – Tradition Under Siege in Soundtrack and Narrative. Seopyeonje is one of Im Kwon-Taek’s first films to receive the critical acclaim that the director’s European, Western and even Japanese contemporaries enjoyed freely since the middle of the 20th century. Its context of production bears a striking release of creativity, no doubt bottled up for many years, hidden under the simple desire to produce genre films since the mid 1960s. The film’s narrative has several relevant reasons for discussion in the context of globalisation, consumption and music, a number of which have been informed by the same histories that give the film its feel of release. Lee sums up; “The most noteworthy contribution made by Im to the current renaissance of Korean national cinema lies in his pursuit of creating a national identity. In particular, his persistent cinematic enquiry into the notion of Korean-ness encourages the younger generation of film-makers to redefine cultural tradition through new creativity and experimentation.” (Lee, 2005, p.65). Though we will see that national identity is indeed the question at the heart of Seopyeonje, its influence on the younger generation will be questioned more in the later sections. It is one of, if not the first film, to openly question the cultural ideals of the country and the effect of its long standing civil war. This is extremely radical in the context of the country itself but globally, its inward looking sensibilities may perhaps begin to explain and to solidify the reasons for its, and the director’s, lack of distribution outside of Asia at the time. The film’s narrative, though one of multiple readings and universality, is based around a South Korean folk music tradition; the P’ansori. Rayns marks the change in focus that lead to Seopyeonje, stating that “The last two decades have seen him turn away from ‘political’ issues to a focus on the country’s vanishing cultural traditions, such as the pansori folk-song, Buddhist ceremonies and traditional handicrafts.” (Rayns, 2012, p.43). Though this in itself could easily lend to a very typical, nationalist stance on culture, Seopyeonje, seeks to question the cultural identities of its country and shows the gentle, impossible fight to preserve its traditional music from influence of America and Japan. Kim states that “Released at a time where the invasion of Hollywood films peaked in the Korean film market, Soponje, became the nation’s riposte to foreign imports.” (Kim, 2004, p.60). Whether its domestic audience saw it as this is debatable though, for a long time, it was South Korea’s most successful film. The film follows three musicians; a brother and sister travelling with their adoptive father who teaches them the musical skills and songs of the P’ansori tradition. The narrative follows their lives as they try to make a living from playing their music in public and in restaurants while also reflecting on the increasingly tense relationships shared by all three family members. As time goes on within the film, the father figure eventually passes away, though not before being shown to look after his adopted daughter as she begins to lose her sight. The siblings become separated but are finally brought back together, where their final acceptance of their diminished relationship is briefly rekindled by them performing the P’ansori once more. Though more discussion about Soo-Chul Kim’s nondiegetic score will follow, a great deal of attention should be paid to the diegetic music produced and the bearings this has on both the film’s reception and the factors that fed in to this aesthetic choice in the first place. “Though not necessarily unique to Korea, the concept of han underlies one core of Korean existence. As the people seek for a release from their han, music often serves as a catharsis. This experience becomes all the more impressive when particular harsh sound qualities, in combination with certain rhythmic patterns, melodic modes, and gestures are employed to bring the text to life.” (Willoubgy, 2000, p.28-29). It is a sparse but highly technical song form, made up only of rhythmic drum accompaniment and vocal story telling. Whether Im was merely using its effects for his own narrative devices is debatable but, in the film, the P’ansori gives voice to those clearly under some form of repression, whether politically, financially or even at the hands of the perfectionist father. In the film, the main musical sounds come from these performances but the narrative also relies on many lyrical ties to what appear to be very Korean issues. This begins to build a picture of defiance against globalisation; a type of justified cultural nationalism that stems from years of civil war and interference from other countries and cultures. Seopyeonje avoids a totalitarian argument and instead mourns the loss of the tradition as if it was as inevitable as the father’s passing or the collapsing of the makeshift family unit. Rayns praises Im for balancing such thematics stating that “What’s so good about Im Kwontaek at his best is that he deals with specifics of his culture and history without falling back on nationalist bombast: he makes “Koreanness” intelligible to anyone” (Rayns, 2012, p.41). The character’s musical choices become one affected greatly by the economic factors set within the narrative, no doubt an accurate reflection of a country only just out of a civil war. The actual aesthetics of the film on the other hand are far from affected by this and seem to be highly polished, well funded and expertly executed. Even if the contents of the entertainment are distinctly South Korean, the packaging is still of a universally high quality; another factor to underline the absurdity for its timely non-existence in the West for years after its release. Andrei Tarkovsky – Polaroids, Mementos and Time. Chi-hwa-seon (2002) – Im Kwon-Taek.